Do you follow us on Twitter? You should. Do you follow Topps on Twitter? 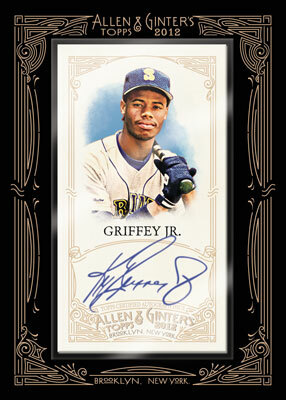 You should because these images were released of 2012 Topps Allen & Ginter. 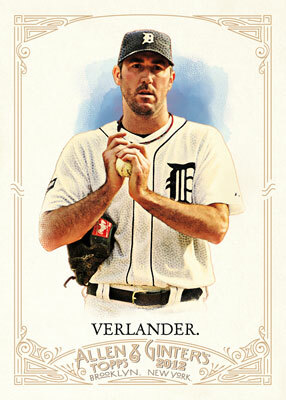 The Justin Verlander is the mock up of the base cards. 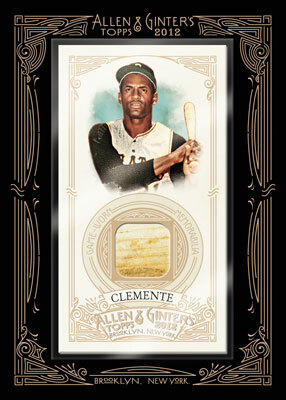 The Ken Griffey Jr. auto and Roberto Clemente relic cards are mock-ups of the encased mini hit cards. I am not a big A&G fan in general, but those look much better than 2011. Agree with the Quarry. Better design, and with Griffey, better period.